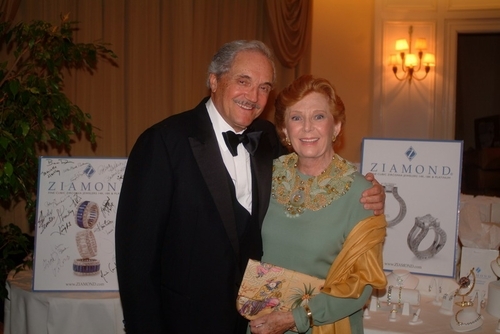 Hal Linden and his lovely wife came to Ziamond Cubic Zirconia CZ Jewelers to view the collection of 14k gold, 18k gold and platinum jewelry. All Ziamond cubic zirconia cz stones are cut to exact diamond standards, assuring the true look and brilliance of a genuine diamond. We at Ziamond assure that our customers receive the same attention to detail, quality design and craftsmanship associated with any fine jeweler.